Storm on its Way, Rock, Cornwall. 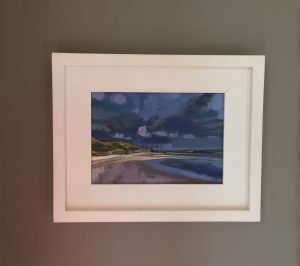 Framed original oil on board. Hand painted frame in off white Farrow and Ball. 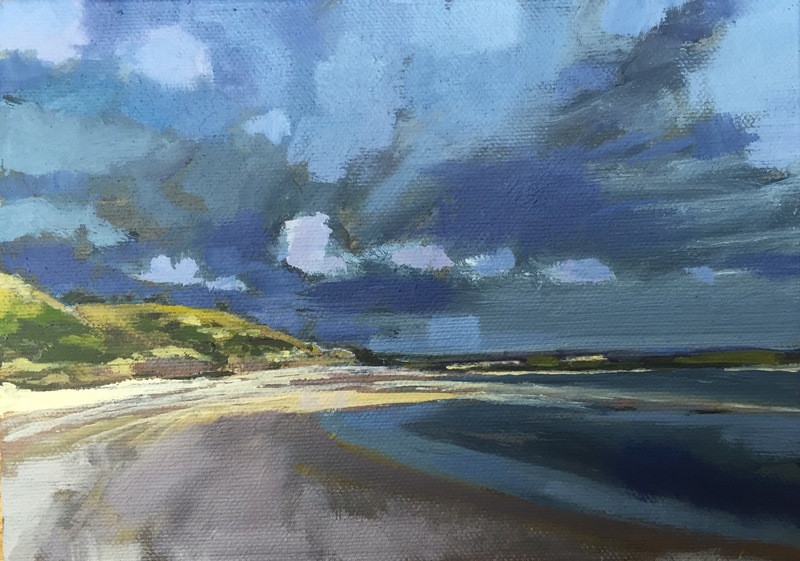 Exhibited at the Royal Society of Marine Artists Annual Open Exhibition, Mall Galleries, 2016. A seascape in oil on board showing the walk from Daymer Bay towards Rock racing the incoming Storm.